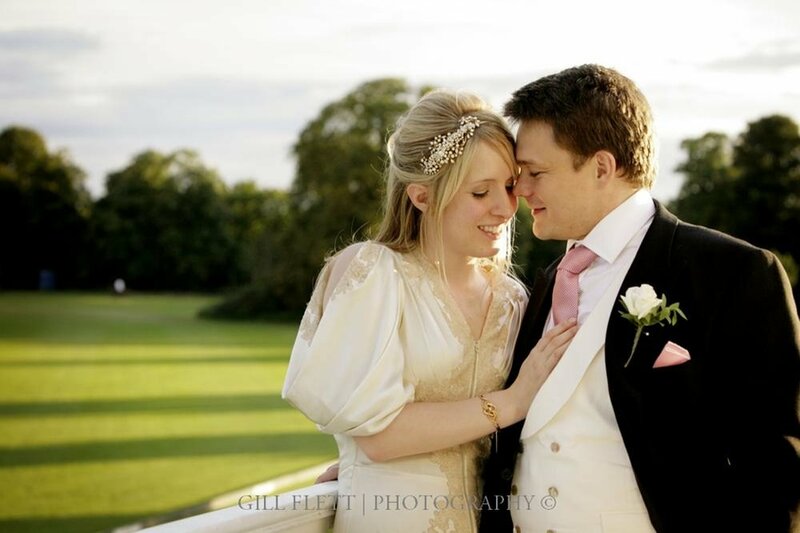 Peter and Holly were married in the stunning St Mary's Church in Wimbledon Village. There was so much laughter and enjoyment during the ceremony. They left in a vintage Beardmore car and we heading for Richmond for some pictures and then on to stunning Ham Polo Club. All was going to plan - the meal was amazing, the guests were happy. What could happen? Then an uninvited guest landed. It just happened that Brad Pitt was staying nearby whilst filming. Ham Polo club can also be used to land a helicopter, hence all the paparazzi outside the gates. The bride and groom left their Reception and went onto the viewing deck. Brad Pitt was keen, he faltered but apparently Angelina had cooked dinner and would not wait. Oh well, it will make a great story for the children.